It’s one of our most frequently asked questions about grilling planks: Are Cedar planks reusable? Our answer: Like movie sequels, the first one is normally the best. Before we’re able to dive deep into this question, we need to establish an important difference — grill planking and oven planking. The technique of infusing flavor with a plank differs depending on your method of cooking. Another important aspect to note is plank coverage. When planking, make sure that the plank is covered all the way to the edges. This reduces the likelihood of flare-ups, which means the plank will be in better shape. 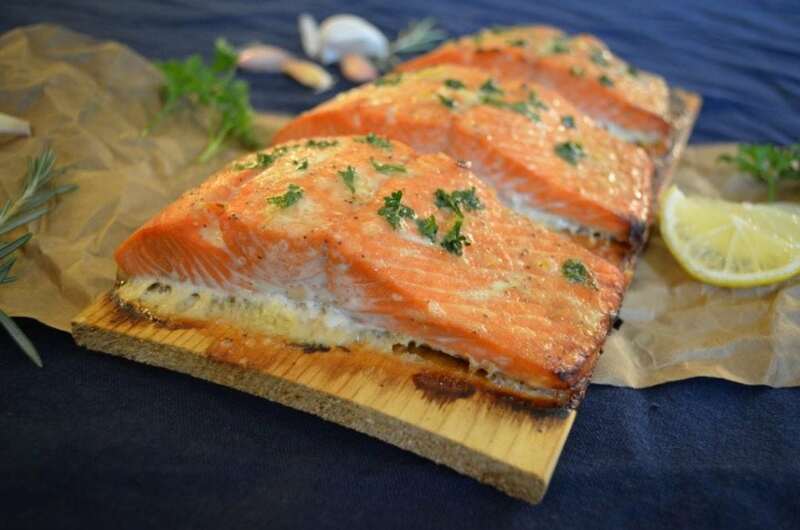 Are Cedar planks reusable when used on the grill? On the grill, Cedar planks (and hardwoords, as well) get pretty charred — often to the point of not being reusable. Take a look at the picture above. 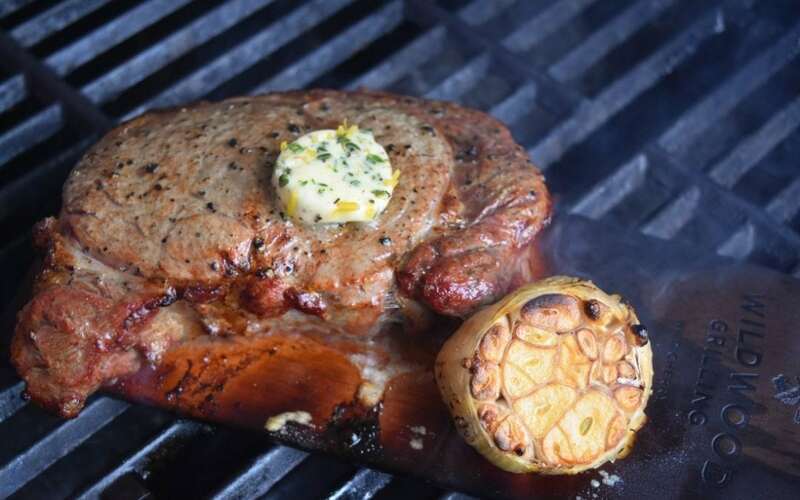 The plank is charred, especially in places where the steak does not cover the plank. The plank above should not be reused, as it is charred on the bottom and top side. That’s not to say it can’t be used for other purposes: They make great fire starter for fireplaces or your backyard firepit. Can you reuse planks that were used in the oven? If you use planks in the oven, they don’t get charred like they do on the grill due to the lack of direct flame. Oven planks have a much higher chance of being reusable. Look at the picture below of a plank that was used in the oven. There are no signs of flare-ups or charring. Reusing planks is a case-by-case basis. It depends on your preference, as well as the condition of the plank after its first round. If you do choose to reuse planks, here are a couple things to keep in mind. Rinse the plank with warm water (never soap) until all food residue is gone, and place the plank in the freezer for storage. Then, re-soak whenever you’re ready to use again. Only reuse the plank with the same protein. Nobody likes fishy chicken. Always cover the plank completely with food, regardless of whether you’re oven or grill planking. If you are using your plank on the grill, place it over indirect heat. This will help prevent some of the charring. Some of the essential oils will be used during the cooking process, which means less flavor for the second round.